Sometimes agencies have a customer who just can't afford their unique bespoke services. Sometimes they have a customer who wants something that's beyond their skill set or in-house capabilities. Sometimes a customer just needs something simple, pronto. No longer do they have to tell their customer "no can do". 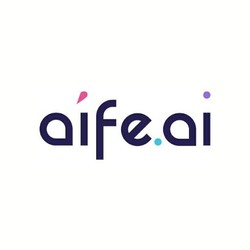 AIFE can fill in the gaps at very low costs, allowing the agency to monetise the customer and/or upsell their other services. AIFE charges the agency a fixed fee, and the agency charges the customer what it sees fit. Meanwhile, AIFE can be reskinned with the agency's branding. Even businesses who provide tangentially related business services (e.g. accounting, printing, business/office supplies) may want to capitalise and expand into servicing more customers through offering AIFE.AI footprints. A hands-off affiliate program is also available; a simple affiliate link sends customers straight to AIFE, paying both the affiliate (15%) and you (25%) - who found the affiliate - recurring commission. Offering AIFE as a tool for agencies to improve their capabilites and - ulitmately - bottom line, requires a reasonable understanding of the space and market they operate in. It is everyone's best interest that the clients and their end-customers (e.g. the individual businesses) are happy. As such AIFE (as does any SaaS offering), suits sales professionals with a high regard for maintaining client relationships and follow-ups.